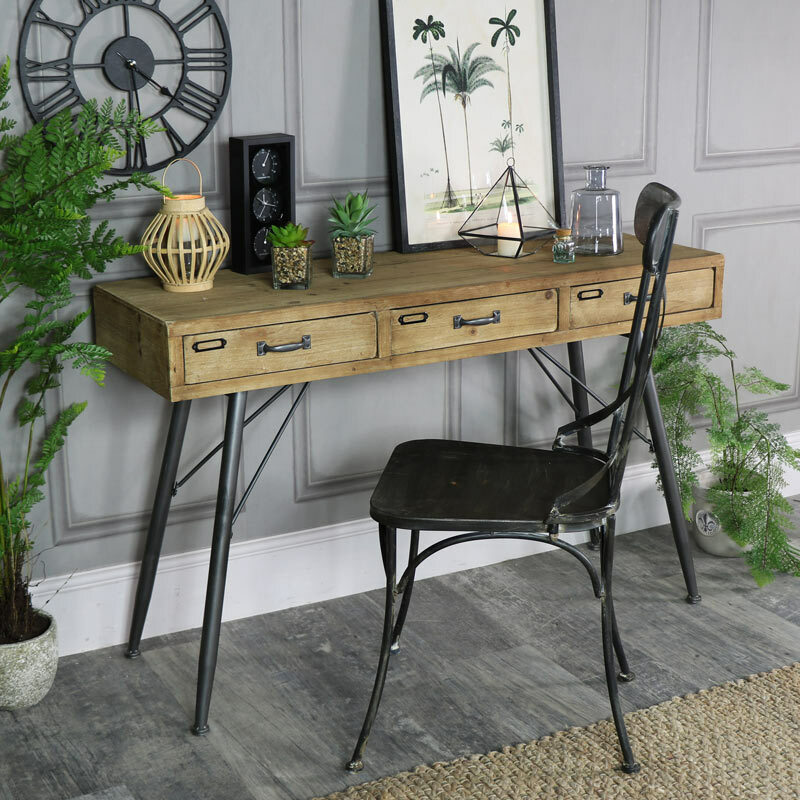 This is a great looking desk that can easily be used as a stylish dressing table or console table. Wonderfully retro and rustic design in a natural wood finish with 3 drawer storage. Ideal for placing in the living room, hallway, bedroom or office. A very versatile piece of furniture that will fit in with rustic, modern and loft living style interiors. 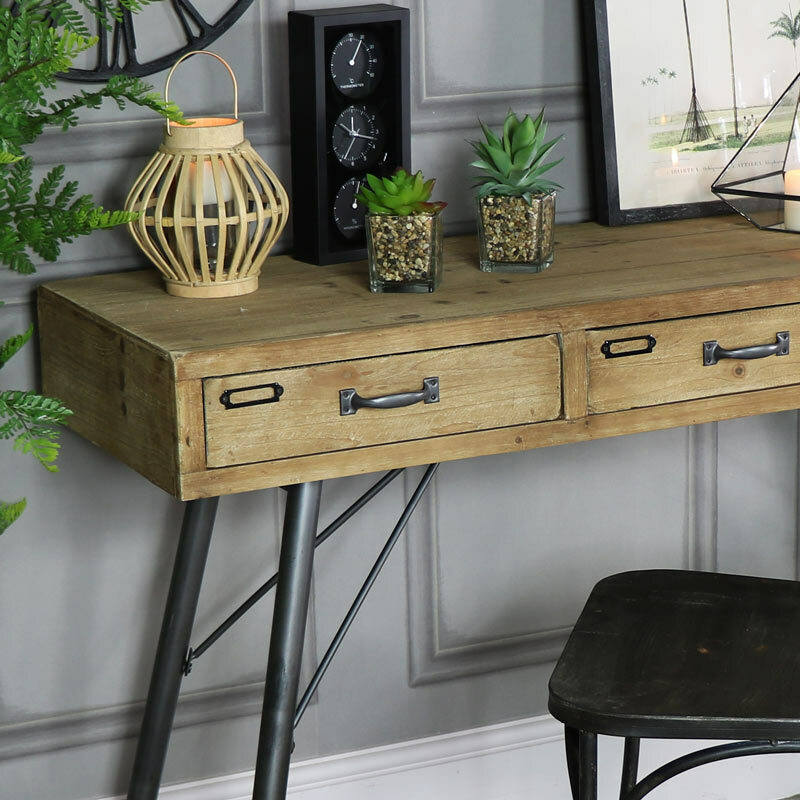 Adding a great urban feel, this table offers great storage with 3 drawers, each with rustic style handle and label holders. This could easily be mixed and matched with our rustic, retro and industrial style furnitue to create a unique, funky and incredibly stylish look in your home. Some assembly is required. 5 minute assembly time. This desk will complement our Loft Living and Retro Ranges well.